If you’ve ever been at a gym and seen about 25 women and a couple of guys following an instructor up front who is dancing to some Latin music, clapping hands and even shouting “Woo-hoo” – you have probably stumbled upon a Zumba class. Zumba features movements inspired by various styles of Latin American dance, performed to music. It’s a fun, whole-body workout that has become popular part of American culture. But does Zumba help burn calories? Worried that it’s not going to help tone your arms, or sculp your muscles? Read on to discover the many benefits of Zumba. Designed as a combination of salsa and aerobics, there’s no right or wrong way to do Zumba. As long as you move to the beat of the music, you’re participating in the exercise. 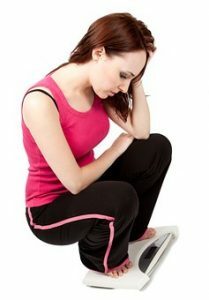 An average weight person will burn 600 to 1000 calories with every 60 minute workout. Since you’re burning through your day’s caloric intake, you can very well have a treat or two without feeling guilty. Zumba also increases your metabolism, which means you’ll burn a lot of calories even while you’re at rest. A high rate of metabolism is a strong indicator of a healthy body, so go ahead and give your metabolism the boost it needs! And since Zumba involves movement of the entire body — from your arms to your shoulders and to your feet — you’ll get a full-body workout that doesn’t feel like work. Zumba brings together aerobics and dance. Aerobic exercises increase the body’s flexibility and stretch muscles. A small 2012 study found that a standard, 39-minute Zumba class burned an average of 9.5 calories per minute. This adds up to 369 calories in total throughout the class. The American Council on Exercise recommends that individuals burn 300 calories per workout in order to promote weight loss and maintain a healthy bodyweight – so Zumba fits their criteria perfectly. After a few weeks of Zumba, you’ll be amazed at how much your body can stretch. Stretching too much too soon can lead to pulled muscles and other injuries, but if you follow the routines, you’ll gradually increase your flexibility without pain and injury. Every routine has adequate warm-up exercises with stretches in order prevent mishaps. Since music played during a Zumba class is relatively fast-paced, moving to the beat can help build your endurance after just a few workouts. But Zumba is so much fun that you’ll actually look forward to your next workout – even when you’re writhing in pain! Evidence also shows that a 12-week Zumba program can provide significant improvements in aerobic fitness. The best part is that the routine can be adapted to any fitness level and age, so anyone can get the benefits of a Zumba workout! One study found that after 12 weeks of a Zumba program, participants showed a decreased heart rate and systolic blood pressure with an increase of work. These trends coincide with an increase in endurance. Since the intensity of Zumba is scalable — you’re moving on your own to the beat of the music — it’s a workout that everyone can do at their own intensity level! Another benefit of having so much fun during your workout is that you don’t realize how quickly the time goes by. When you’re doing straight aerobics or running on the treadmill, you’re painfully aware of each minute as it goes by and probably breathe a sigh of relief when the workout is over. The combination of music, dance moves, and people having fun makes it easy to you lose track of time. You’ll always be surprised that an hour went by! 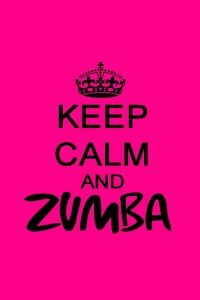 Since Zumba is a group activity, you’ll essentially be welcomed into a social situation any time you step into a class. This is all instead of a workout plan you must design and follow through with on your own. These are people you have something in common with – you all want to lose weight and stay healthy without compromising fun. Every session is like a dance party and you can always bring more friends. Zumba parties are getting so popular now that they’ve made their way into bachelorette parties and corporate environments. And since anyone can Zumba, you’ll meet friends of all ages and from all walks of life. You don’t even have to attend a Zumba class if you don’t want to! They’re many products by Zumba and workout DVDs that you can buy right now and perform a Zumba workout right in your living room! An effective Zumba program provides not only health benefits, but also social benefits of a group workout, too. People can enjoy an improved quality of life with these combined perks. So, who’s ready to dance? Try a Zumba class at your local gym today.